China Telecom, in partnership with Nokia Networks, has demonstrated the world-first FDD-TDD carrier aggregation including a user device chipset. 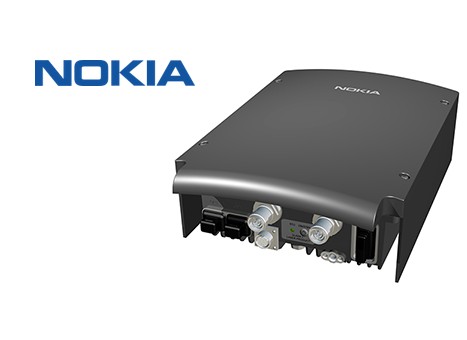 In the demo, Nokia’s LTE base station achieved interoperability with a commercial user chipset developed by Marvell. A stable peak download speed of 260 Mbps was achieved in the carrier aggregation demonstration with FDD 20 MHz in 1.8 GHz and TDD 20 MHz in 2.6 GHz spectrum. For the total speed, FDD spectrum contributed to 150 Mbps while TDD spectrum contributed to 110 Mbps. 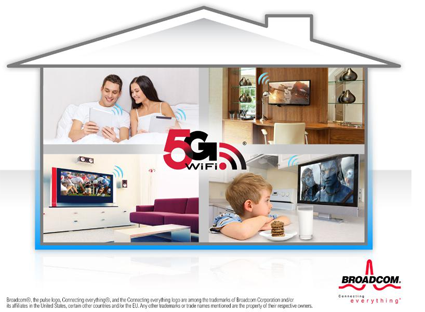 Broadcom announced a 5G WiFi (802.11ac) 2x2 Multiple Input Multiple Output (MIMO) combo chip for mobile devices that delivers 650 Mbps Wi-Fi data throughput and 50 percent better coexistence performance with Bluetooth. The device also offers improved location accuracy down to one meter. "The combination of 5G WiFi and 2x2 MIMO unlocks the full potential of today's smartphones and tablets. These technologies are becoming de facto requirements for connectivity in high-end mobile devices," said David Recker, Broadcom Senior Director, Wireless Connectivity. "With the BCM4358 we are addressing critical multi-radio interference challenges while setting a new bar for performance that reflects Broadcom's continued commitment to be first to deliver the most powerful solutions in the market." Amsterdam-based AVG Technologies N.V. agreed to acquire privately-held Location Labs, a start-up based that that uses location awareness to provide mobile device management and protection, for approximately $140 million initially, plus up to an additional approximately $80 million in cash consideration over the next two years based on the achievement of certain performance metrics and milestones. 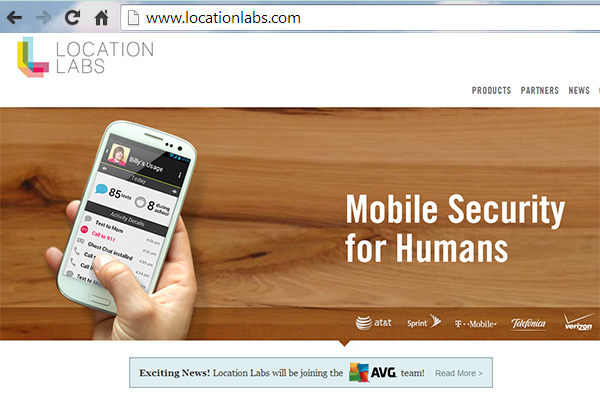 Location Labs’ integrated platform for mobile operators, pre-installed service on Android smartphones, and mobile subscription services including family, safety and personal device management, are all expected to complement and expand AVG’s existing mobile offerings. The company is based in Emeryville, California. AVG said the acquisition significantly broadens its position as the online security company by accelerating its mobile security business. With the acquisition and organic growth, AVG is creating a global business that should generate $60-70 million in mobile bookings in 2015, and anticipates this scaling to around $100 million in mobile bookings in 2016. 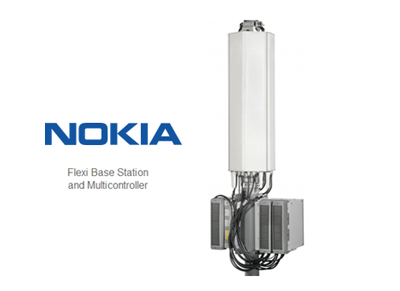 Nokia Networks announced its the Flexi Metro Remote Radio Head (RRH), 60MHz carrier aggregation for LTE and new software features for its Liquid Radio platform. The new Nokia Flexi Metro RRH for LTE is designed for extremely dense networks in the busiest metropolitan areas using existing macro network sites. Nokia said the RRH’s sensitivity can be tuned and output varied from 2 x 5W down to 2 x 50mW to match any deployment’s need for high capacity mobile broadband. Combined with Nokia’s Centralized RAN, the Nokia Flexi Metro RRH allows more cells to be concentrated in a given area. The software enhancements to Nokia Networks LTE-Advanced Carrier Aggregation enable evolution to 60MHz aggregation bandwidth in LTE and TD-LTE, delivering up to 450 Mbps peak downlink rates, as supported by upcoming Category 9 devices. The company is also launching Enhanced HSUPA Interference Cancellation, a new Liquid Radio WCDMA Software Suite feature that reduces interference for up to 60% gain in uplink throughput to fit up to 30% more users per cell. HSPA Carrier Aggregation with Dual-Band HSDPA: uses two 5MHz WCDMA carriers on different bands to double downlink peak rates to up to 42Mbps and Dual-Cell HSUPA enables devices to upload data simultaneously over two adjacent carriers to raise peak transfer rates to 11.5Mbps - both supported by upcoming terminals. LTE-WCDMA and LTE Intrafrequency Load Balancing for effective load balancing: helps operators eliminate congestion in highly loaded networks and better optimize resources between users. HSPA rapid receiver for high-speed trains enables operators to deliver better voice quality and faster uploads for passengers commuting (at 250-350 km/h) in and out of megacities and other busy areas. Nokia’s Services for HetNets help solve the complexities of deploying high density networks for operators. Overall costs can be reduced by adding capacity in an intelligent manner, only where and when it is needed. Advanced planning and optimization services ensure that all layers of the network work seamlessly for subscribers. DragonWave introduced its next generation, Harmony Enhanced, all-outdoor microwave system operating in the 6-42 GHz spectrum bands and capable of increased reach by >30% thanks to high output power. Harmony Enhanced merges the company's flagship Harmony Radio and Horizon Compact+ into a next-generation, ultra high-capacity microwave system featuring an integrated switch. The company said its Harmony Enhanced allows operators to cost effectively scale networks with the industry's leading system gain, highest spectral efficiency and increased capacity that is enabled through 112 MHz channel support, 4096QAM capability, Bandwidth Accelerator+ and MIMO. These capabilities allow Harmony Enhanced to deliver > 2 Gbps in a single radio, with scalability via MIMO to 4 Gbps in a single channel. Bandwidth Accelerator+ provides > 2 times throughput improvements with the inclusion of header optimization and the industry's only bulk compression working in tandem. It also features integrated Ethernet switching with WRED queuing, E-LINE and E-LAN support and upgradability to MPLS-TP, enables a true all-outdoor installation without the need for an additional access switch. 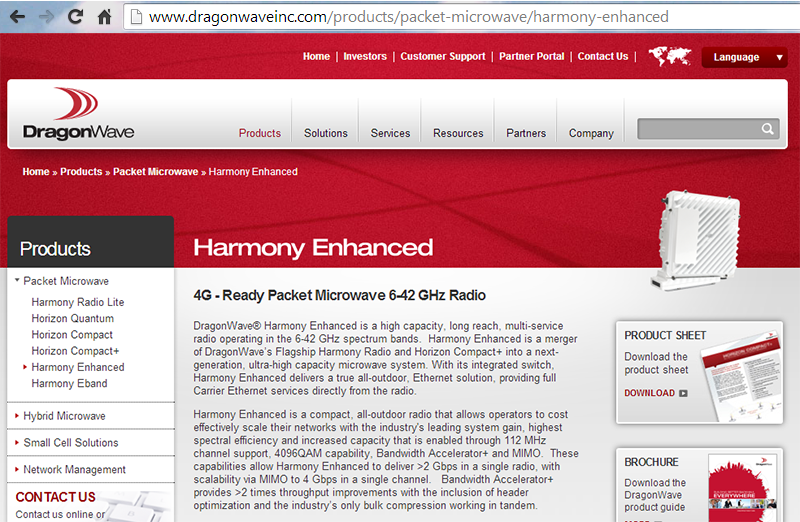 "The Harmony Enhanced represents an important consolidation and improvement to the DragonWave product portfolio by providing industry leading scale and reach in the microwave bands" said Greg Friesen, vice president, product management, DragonWave. "By providing a future-proof LTE backhaul solution, Harmony Enhanced will allow operators to meet the requirements for next generation architectures with scalability, integrated Ethernet switching, MPLS-TP upgradability, SynchE and 1588v2, so that their end-users can be assured the utmost in service delivery." "Building end-to-end mobile broadband solutions requires a flexible backhaul component. With the help of Harmony Enhanced we can provide optimized backhaul with tested interoperability and integration into the network," said Gerhard Staudenherz, head of OEM product business line, Nokia Networks. "Our partnership with DragonWave supports our strategy for mobile broadband and our joint customers benefit from a single, integrated solution." 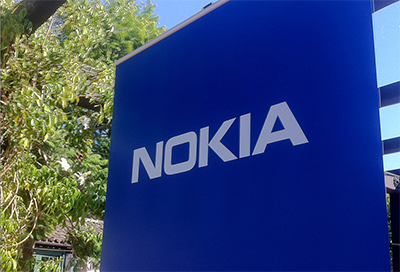 Nokia Networks and Intel have opened an innovation center in Bath, UK to encourage the development of new mobile broadband applications and services based on Nokia Networks’ Liquid Applications with support from its AppFactory. The solution, is powered by Intel technology-based servers and deployed at base stations, aims to bring intelligent data processing closer to users at the network's edge. EE is the first operator to begin testing in the new UK innovation center.